The functional capability of the grouping feature can be best utilized when the network admin creates groups strategically based on IT infrastructural needs. It is possible to group devices and interfaces from the same location, same department, same device type, same vendor type, or scope of control of an IT admin. This feature is completely customizable to the needs of the IT Admin. Grouping feature in OpManager helps the admin to assort devices or interfaces for organized network management. 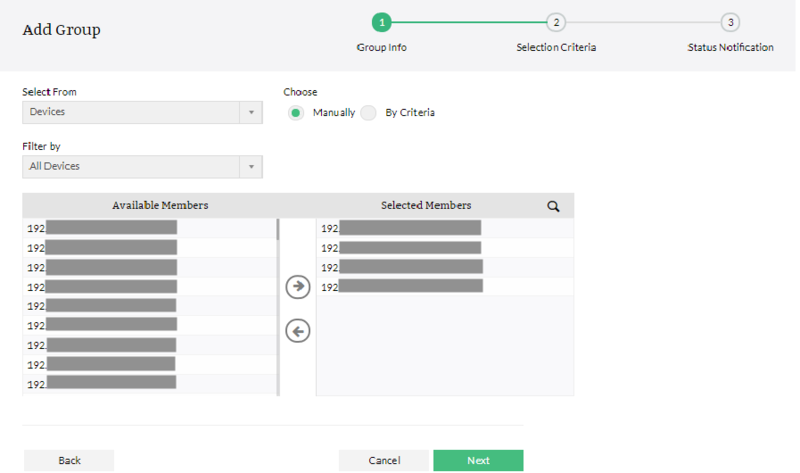 OpManager lets you group devices, interfaces and subgroups manually or according to criteria. All types of interfaces can be grouped together. All interfaces of a group will be associated with threshold settings applicable to the group. For interface based reports/widgets, Interface Groups can be chosen. If any of the device/interface/group status changes, the status of group also changes and an alarm will be generated.The availability of group can be found in Group Snapshot.